Governor Rochas Okorocha of Imo State, on Monday declared that he will do everything possible to ensure that his son-in-law and former Chief of Staff, Uche Nwosu, becomes the next governor of the state. He said this during the swearing ceremony of Mark Uchendu, as the new Secretary to the Government of the state, nine permanent secretaries and others. 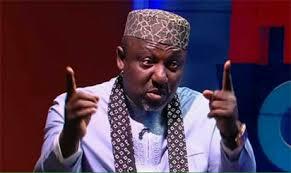 Okorocha said he wouldn’t mind putting his blood and life down to ensure that Nwosu succeeds him as governor. He said, “This administration will end stronger. Let me tell you, the remaining seven months left for me I will do the same I did in seven years in office.